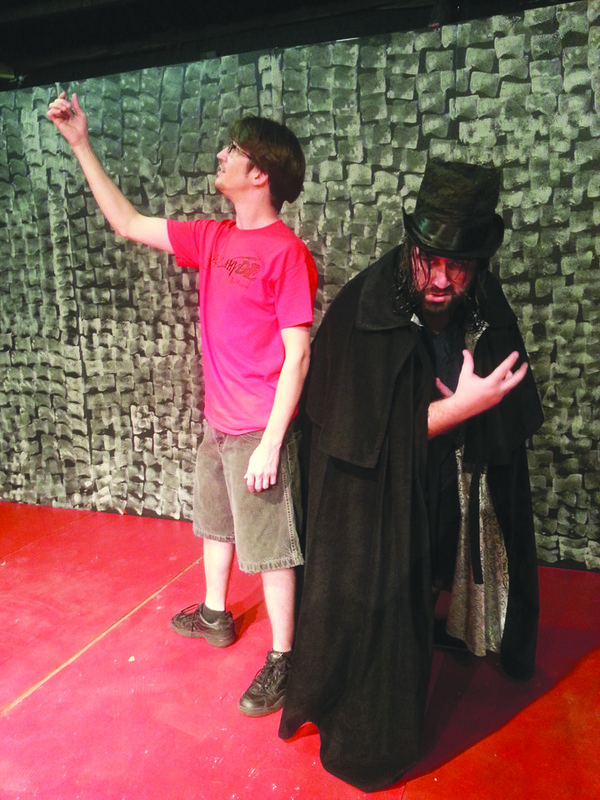 The Village Players Community Theater will present the popular musical Jekyll and Hyde The Musical this spring at the historic James McCabe Theater located at 506 5th St. in Valrico. The shows will run three weeks beginning the weekend of Friday, April 25 and Saturday, April 26 and continuing Friday, May 2 and 9 and Saturday, May 3 and 10 at 8 p.m. There will be matinees on Sunday, April 27 and May 4 at 3 p.m. General admission tickets are just $15; students, seniors and military personnel with ID are $13; and groups of 12 and more are $12. Jekyll and Hyde The Musical is directed by Carlton L. Jones. The Village Players’ production is a haunting, romantic and thrilling production which tells the age old story of Dr. Jekyll’s chilling tale. Jekyll and Hyde The Musical is based on the novel The Strange Case of Jekyll and Mr. Hyde by Robert Louis Stevenson. The musical made its Broadway debut in 1997. For director Jones, Jekyll and Hyde The Musical was “The first show that I worked on as a costumer and a performer in this area. Now, here we are about 10 years later, and once again I embarked on the theatrical journey of bringing to life this great musical production. I was fortunate to have been able to bring together a skilled staff to aid in the direction of the show,” said Jones. “The cast and crew consist of a talented mixture of veteran performers and new members to our community theater family. As a team, we hope you really enjoy the show and your evening at the theater, whether you are a fan of the production already or discovering it for the first time,” added Jones. The community will celebrate the James McCabe Theater’s 100th Anniversary in 2015. Pierce and a devoted group have been working hard to get the building renovated. The Village Players is a 501(c)(3) non-profit organization, so donations made are tax deductible. “We are seeking patrons who would like to be a part of preserving a historical site and promoting the arts in our community,” said Pierce. In addition, the Village Players is seeking restaurants who want to be a sponsor of the Village Players’ Dinner Theater which is traditionally held on opening night. Currently there is no sponsor for Jekyll and Hide The Musical. Pierce said, “There have been sell-out crowds in the past. Our Dinner Theater depends on a local business to donate the dinner. We provide the entertainment and the building gets an improvement to its stature,” said Pierce. To get more information or tickets, call 643-8282 or 630-2237 or visit www.thevillageplayersvalrico.com.